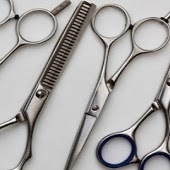 How Can I Go Alcindor's Hair Salon? 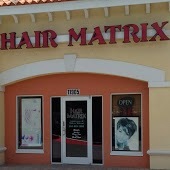 Where is Alcindor's Hair Salon in Tampa on the Map? I moved to the Town N Country area several years ago. Until Dee/Alcindors came along if I was dissapointed in the hairstyle itself due to a inability to communicate. At another time at another salon in the area I liked the hairstyle but disliked the service. It really gets to me if it takes an hour to get to the chair. I can't tolerate that anymore. Out of frustration I opted not to go to the salon for the longest. Then my mother told me about Alcindor's Salon soon after it opened I was hooked ever since. I like how knowledgable and articulate Dee is about hair. She will give honest advice about your hair, down to hair care and what products would work. Which is why Dee's initial consultation can get lenghty but I like that she tries to get to know you and what exactly what you want to do with your hair. Also she's not afraid to share experiences with her own hair. Evertime I come Dee manages to both give a great hair style while protecting the integrity of my hair. That is rare in hair stylist today. Also it's a welcoming and clean evironment. For me she's definetly number 1 in the Tampa area. I love to change my hairsyles often and it's not easy to find a salon that can keep up with all the latest trends, Well let me tell you that I have found that place. I'm always in love with my hair when I leave Alcindor's Hair Salon. The atmospere is great, the people are great, and most of all the quality is phenominal. Dee and Pam have been doing my hair for almost two years. The BEST QUALITY my hair has ever experienced. I have not relaxed my hair since they have had their hands in it. My hair is so healthy and growing so rapid. I love it. Love the professionalism these two women! I receive the same quality of service no matter who in the shop does my hair and I'm always happy and referring new clients to them. 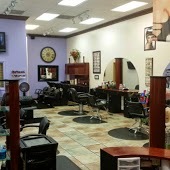 If you are looking for a place to get your hair done then Alcindor's Hair Salon is the place to be. I've been going to Alcindor's Hair salon for almost about a year now & honestly I couldn't see myself trying to find another hair salon or stylist that does the great work that they do. 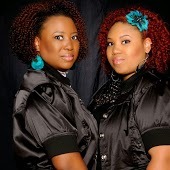 I've been natural for 3 years now and they always have the best advice and products for maintaining healthy hair. 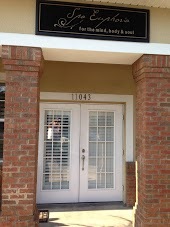 It is never a dull moment; They have a wonderful staff and friendly environment and the prices are very reasonable.